After a particularly exacting work of translation into English, the compilation of texts by the Korean critic Lee Yil was published in March 2018 by les presses du réel, under the title Dynamics of Expansion and Reduction – Selected Writings on Korean Contemporary Art. On the initiative of Marjorie Allthorpe-Guyton and Paul O´Kane, a seminar was organized by AICA and SOAS in London, on March, 23rd, with the participation of Bada Song (translator together with Paul 0'Kane), Henry Meyric Hughes who edited the text in English, Jean-Marc Poinsot who coordinated the publication and Professor Youngsook Pak who contextualized Lee Yil’s texts in Korean modern art and criticism in the second part of the 20th Century. This Seminar was followed by a reception kindly hosted by the Korean Cultural Centre in London which introduced the book to a wider audience. On April 20, on the occasion of the festivities of AICA-France’s 2018 Art Criticism Award, whose jury included many members of the International AICA Board, there was a brief presentation of Lee Yil’s book by the Series Editor Jean- Marc Poinsot and by Franck Gautherot who contextualized the critic and the artists whom he defended in the turbulent post-war period. 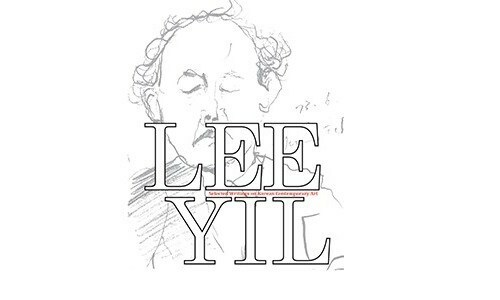 Soo-Young Leam, a PhD student at the Courtauld Institute of Art, London and present at the seminar in March, is reviewing Lee Yil’s publication for the Critique d’Art magazine.